Paktia Panthers and Kabul Zwanan will contest the second semi-final of the 2018 Afghanistan Premier League (APL) at the Sharjah Cricket Stadium on Saturday from 21:30 IST. During the group stage, Paktia compiled five victories from eight matches and captured the second position. On the other hand, Kabul registered four wins to end up at third spot. These two teams met each other during the first as well as last fixtures of the group stage. While Zwanan successfully hunted down 219 in the inaugural APL match, the Panthers completed a thrilling last-over triumph on Thursday. With 343 runs from eight games at a strike-rate of 175.89, Paktia skipper Mohammad Shahzad finished the group stage as the leading run-scorer. The belligerent opener's remarkable consistency to provide electric starts should augur well for his team in such a high-pressure clash. Hazratullah Zazai's tournament strike-rate of 202.81 is comfortably the best among all batsmen with at least 150 runs. If the hard-hitting 20-year-old gets going, we could be in for an enthralling match. Fellow Kabul opener Luke Ronchi has also driven himself into impressive form. In the absence of regular captain Rashid Khan, Colin Ingram led Zwanan in their last group game. The additional responsibility seemed to have brought the best out of his batting. Scotland star Calum MacLeod is a reliable operator due to his ability to accumulate significant runs in the middle-order. Samiullah Shenwari is a vital batsman for the Panthers. The seasoned campaigner's penchant for clearing the fence could come in handy at any stage of the innings. Despite a few below-par performances at the initial stages of the tournament, Rashid Khan roared back with a brilliant all-round display against Kandahar Knights. 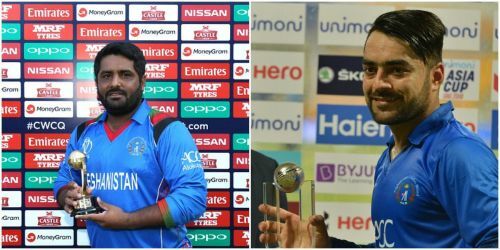 The Kabul skipper will continue to remain the cynosure of all eyes. After contributing steadily with the ball during the earlier matches, Shahid Afridi showed glimpses of his inimitable hitting prowess by smashing a decisive 19-ball 30 against Zwanan. Even if he does not strike gold with the bat, his stifling leg-spin is enough to land a place in any fantasy lineup. Upon being promoted to number three in the game against Paktia, Wayne Parnell surprised everyone by hammering 42 runs from 28 balls. Meanwhile, the South African is also gradually settling into the groove in the bowling department. A tally of 15 wickets from seven matches sees Isuru Udana occupy the second position in the list of leading wicket-takers in the season thus far. The left-arm seamer's versatility is enabling him to make a lasting difference during both Power Play and death overs. The Paktia bowler should receive ample support from fellow medium pacer Ziaur Rahman.